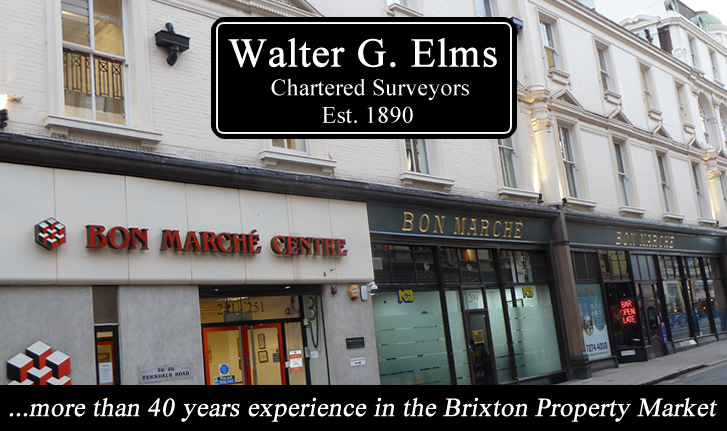 "Walter G. Elms was established in 1890 and is the oldest Estate Agency firm in Brixton. We therefore give continuity and have an expert view and knowledge of the area"
Make Walter G. Elms your first choice for residential lettings and relocations. We are one of Brixton’s premier letting agents of superior furnished, partly furnished and unfurnished properties in prime locations throughout south London and further afield. Our dedicated team offers friendly and professional advice to both prospective tenants and landlords. As the area’s leading Managing Agent, Walter G. Elms have a vast amount of experience and are thus able to deal with all aspects of Letting & Property Management. Walter G. Elms was established in 1890 and is now managed by Mr Kurt Boyer. We're the oldest Estate Agency firm in Brixton and have an expert view and knowledge of the area.